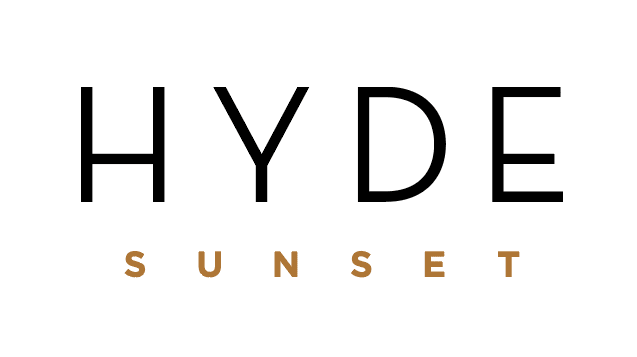 LOCATED ON AN ICONIC CORNER OF THE SUNSET STRIP, HYDE SUNSET KITCHEN + COCKTAILS REPRESENTS A WELCOME EVOLUTION IN CUISINE AND NIGHTLIFE AS WEST HOLLYWOOD’S LATEST HOSPITALITY EXPERIENCE. This hybrid Los Angeles destination features fresh seasonal California cuisine, signature craft cocktails and an elegant yet inviting ambiance curated by acclaimed designer Waldo Fernandez. A favorite among local foodies and nightlife connoisseurs alike, Hyde Sunset Kitchen + Cocktails is sure to charm any palate with delicious dining, enticing energy. We welcome you to dine in smart casual attire. Celebrate #31daysoffood with Hyde Sunset for the LA Times FOOD BOWL. Hyde Sunset Kitchen + Cocktails provides a spacious venue, on-site parking and logistics team for your next film production. Enjoy special rates and perks! West Hollywood restaurant meets Hollywood lounge, Hyde Sunset represents the next evolution in Los Angeles hospitality. This hybrid space features fresh seasonal California cuisine, craft cocktails and an elegant yet inviting ambiance curated by acclaimed designer Waldo Fernandez and art collector Guy Hepner. "Chris Crary hits the Man vs. Child Stage"
Justin Bieber at Hyde performing "What Do You mean?"